Last week, FUTURE PARK was announced as the Winner of the ‘Best Futura Mega Project’, at the MIPIM Awards 2019. Adept will be playing a key role in the development of Future Park – one of the UK’s most significant cultural and energy-efficient attractions to be built in the 21st Century. We will be providing civil and structural engineering services to Bond Bryan Architects and developer Fallons – the companies behind the Yorkshire Future Park, Winners of the international award. Located in the heart of Yorkshire, the unique interactive park will celebrate the best food and drink experiences in the world. The park will share the biodiversity of food, whilst showcasing a range of innovative technologies with a special focus towards the environmental and agricultural sectors. Visitors will be given the opportunity to submerge themselves within the park and enjoy the experience through its farms and livestock, restaurants, factories, shops and marketplace, education, research facilities and events. The park’s structure will be formed around an existing lake with an overall building form that will become part of its natural landscape. The low linear building will hug the edge of the lake – which is the lowest part of the site, maximising views across the landscape. 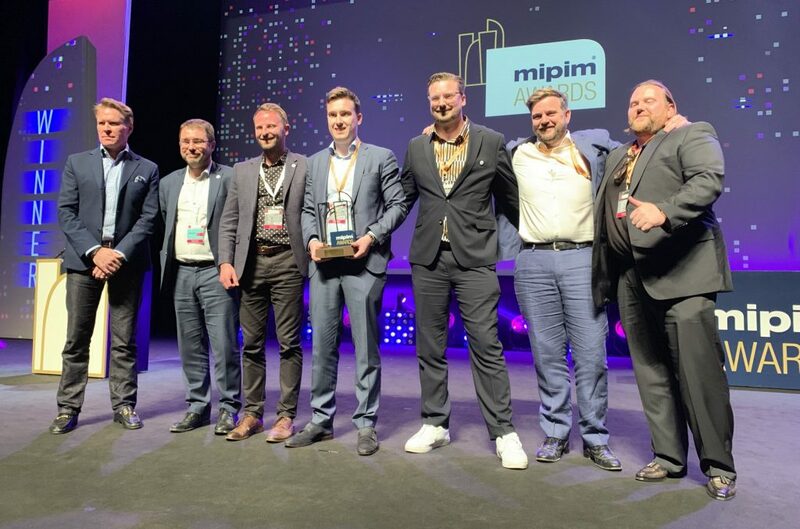 The awards ceremony took place at MIPIM – the world’s leading property event which runs from 12 – 15 March 2019.